This is the final stage of the Pilgrim route, but with an additional day to further break up the journey for those wanting a more leisurely walk. – Pilgrims who walk this section are entitled to the Pilgrim’s Certificate. 8 days, 7 nights, 6 days walking. Dinner each night except in Santiago.The walking is over 6 days and the distances are spread more evenly in this version of the Sarria – Santiago route. 6 dinners (dinner not included in Santiago where there is a wide choice of restaurants). route notes, pilgrim passport and emergency back up if required. 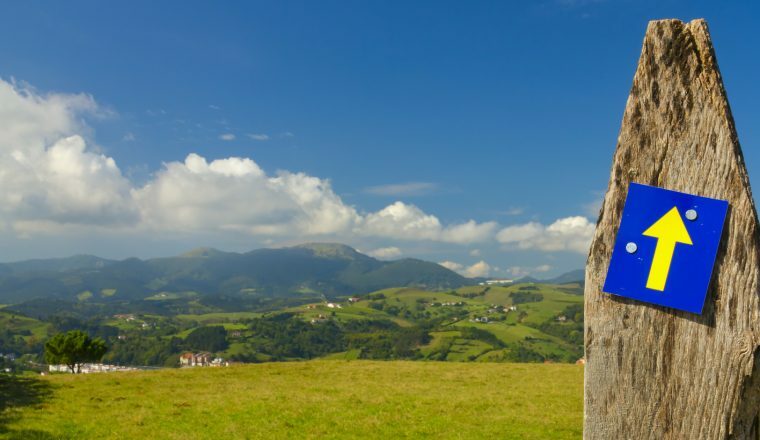 From Santiago de Compostela – take a bus to Lugo (this bus also stops at the airport but you are not guaranteed a place and it is sometimes full by the time it arrives. The journey is nearly 1h30 to Lugo. From Lugo you take a bus to Sarria – approx. 1 hour. You may need to wait for a connection so this can be a long journey. Flights to Santiago from many places including London Stansted and Dublin, from where we can arrange a taxi to Sarria (approximate cost 90 euro for 2 people). The airline Veuling has daily flights from London Heathrow to La Corunna. There is a bus connection to Sarria via Lugo or we can arrange a transfer for £90.00. A modern town with old quarter. Day 2: Walk Sarria – Portomarin. The route takes you to Melide – this is a pleasant town with a former monastery Church Sancti Spiritu, along with a pilgrim hospital and the Church of San Pedro. As you leave the town of Melide, the Church of Santa Maria is worth a visit. Walk the short distance today to the small village of Arzua where you will spent the night. The route continues to Arca do Pino, where you will spend the final night before the final section of the walk into Santiago – making the walk today only 12.5 miles, with the same distance to cover in the morning to Santiago.